First published online 2 August 2017. 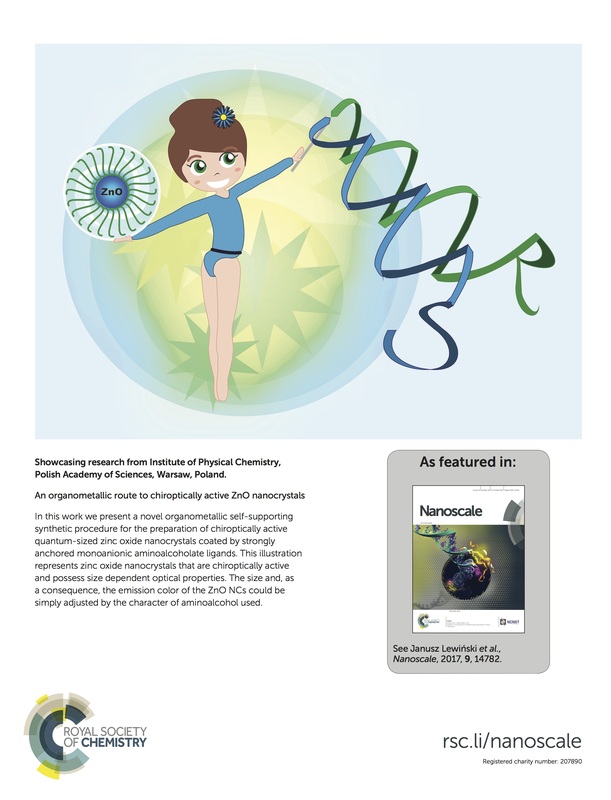 The unique optical properties of zinc oxide nanocrystals (ZnO NCs) are strongly dependent on both the properties and the composition of the inorganic core–organic ligand interface. Developing a novel organometallic self-supporting approach, we report on the synthesis and characterization of ZnO nanocrystals coated by chiral monoanionic aminoalcoholate ligands. The resulting ZnO NCs are both chiroptically active and possess size dependent optical properties. The size and in consequence the emission color of the ZnO NCs could be simply adjusted by the characteristic of the aminoalcohol used.